CARROLLTON, Texas — FASTSIGNS International, Inc., franchisor of FASTSIGNS®, the leading sign, graphics and visual communications franchise, announced today that it has signed 32 franchise agreements so far in 2018 to develop new, co-branded, and conversion centers across the U.S. in cities such as Manhattan, Orlando, and Portland, Oregon. The company also signed agreements to develop centers internationally in Alberta, Canada, and the United Kingdom, in addition to a Master Franchise Agreement to expand the brand to Spain. 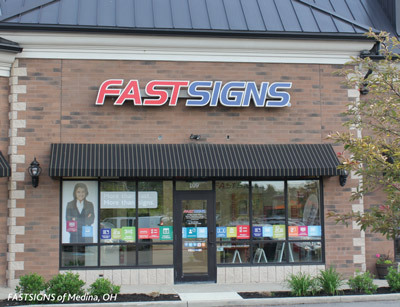 FASTSIGNS International, Inc. is the largest sign and visual communications franchisor in North America, and is the worldwide franchisor of almost 700 independently owned and operated FASTSIGNS® centers in nine countries including the U.S., Canada, England, Saudi Arabia, UAE, Grand Cayman, Mexico, Chile, and Australia (where centers operate as SIGNWAVE®). FASTSIGNS locations provide comprehensive sign and visual graphic solutions to help companies of all sizes and across all industries attract more attention, communicate their message, sell more products, help visitors find their way and extend their branding across all of their customer touch points including décor, events, wearables and marketing materials. BURLINGTON, N.C. — In honor of Adopt a Shelter Dog Month, Always Best Care of Burlington, in partnership with Brookdale Burlington and Jan’s Pet Rescue, will host a free pet adoption event for local seniors from 11am-4pm on Nov. 2, 2018, at Brookdale Burlington located at 3615 S. Mebane St. Burlington, NC 27215. The senior care agency plans to cover all qualifying adoption fees up to 10 adoptions for all pets adopted by seniors 65 and older during this time. Refreshments will be served during the event. 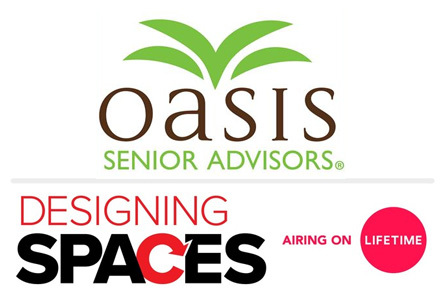 BONITA SPRINGS, Fla. —A national television audience will soon see what Oasis Senior Advisors is all about. The Bonita Springs, Florida-based franchisor will be featured on “Designing Spaces” airing on Lifetime at 7:30 a.m. Friday, Nov. 9. The episode of the award-winning home improvement show follows Oasis Senior Advisor Beth Friesen as she guides a mother and daughter through the Oasis Process to find a senior living community that’s the right fit. “Designing Spaces” travels the country to remodel, redecorate and redesign the spaces we call home. Each episode is made up of segments that profile innovative decorating ideas, do-it-yourself projects and step-by-step transformations. The Nov. 9 episode will focus on seniors and the many options they have when it comes to safe, viable living options. For many seniors, staying at home is not a safe choice, but they are faced with overwhelming options when they need to transition outside their homes for care. Thousands of senior living communities across the country create an unwieldy maze of choices, but Oasis Senior Advisors are there to alleviate that confusion at no cost to seniors and their families. The service has proven popular and effective as Oasis has grown rapidly since its inception in 2014. The company now has 75 franchises in 26 states, and GrowFL recently named Oasis Senior Advisors to its 2018 Florida Companies to Watch list. National TV producers are taking notice. “Designing Spaces” cameras went with Friesen to the home of the mother and daughter for an initial consultation. The cameras observed them getting acquainted, talking about senior housing and discussing the best available options. Friesen was filmed setting up a community tour and joining the mother and daughter for an up-close look. Finally, “Designing Spaces” interviewed the mother and daughter to hear just how helpful the experience was for them. PHOENIX — AlphaGraphics, Inc., a global leader in print, marketing, signage and technology solutions, is pleased to announce the ranking of nine Phoenix metropolitan area business centers among the 2018 Printing News’ Top 100 Quick and Small Commercial Printers list. AlphaGraphics centers throughout the United States represented the largest percentage of any one franchise network nominated to the list of print communications leaders. “I am thankful for the amazing team I have the opportunity to work with,” said AlphaGraphics Chandler Owner Brandon Bagley. “I’m also grateful for the clients that continually support our operations as we keep growing by putting their faith in our team to help solve their businesses’ printing and marketing challenges,” he added. The Printing News Top 100 ranking criteria is based on the state of the industry and the overall sales performance and growth of the franchise in the preceding year. The publication also takes other factors into consideration, including financial stability and the extent to which the franchise has integrated emerging technologies into their operations. “Having four owners representing nine AlphaGraphics Business Centers in the Phoenix metropolitan area recognized as industry leaders among the Top 100 print service operations across the United States is a testament to the expertise of the Phoenix area owners’ group, the strength of the region’s economy and the overall operational excellence of the AlphaGraphics system,” explained AlphaGraphics Mesa Owner Steve Adams. AlphaGraphics has continually remained at the forefront of the industry’s latest high-performance equipment and software to strategically address the branding challenges of our customers. “It is with great honor that our team accepts this recognition in such a competitive environment,” said AlphaGraphics Phoenix Owner Larry Furlong. “Our customers’ success remains our number one priority as we continue to seek new ways of doing business profitably,” he added. 8027 N. Black Canyon Hwy., Suite A, Phoenix, AZ 85021. 535 W. Baseline Rd. Suite 104, Mesa, AZ 85210. 720 W. Elliot Road, Suite 104, Tempe, AZ 85284. AlphaGraphics, Inc. offers, through locally owned and operated business centers, a complete range of print, visual communications, and marketing products and solutions including: full‐service digital, offset, and large format printing; design services; mailing; one‐to‐one marketing solutions; promotional products; web to print solutions. 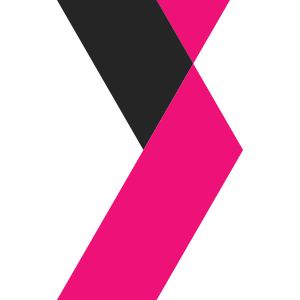 AlphaGraphics is a subsidiary of an international holding company which operates one of the world’s largest networks of service centers offering shipping, logistics, printing, marketing and business support services to business and private customers through almost 2,600 locations in 44 countries. CINCINNATI — FirstLight Home Care, a leading national provider of non-medical home care, was listed by Franchise Business Review as one of the Top 100 Franchises for Veterans and one of the 100 Most Innovative Franchises for 2018. The lists feature award-winning franchises whose franchisees have shown a high level of satisfaction with the business, considering factors such as training and support, leadership, and financial opportunity, both with veterans and with all franchisees. No stranger to Franchise Business Review’s Top 100 lists, this is the second consecutive year FirstLight has made the Top 100 Franchises for Veterans. The company offers a franchise fee discount of $12,500 for veterans. Additionally, FirstLight regularly attends and presents at regional and national events that are created to assist transitioning veterans to highlight both business ownership and employment opportunities that exist within the franchise industry for veterans and their spouses. The recognition from Franchise Business Review adds to the recent awards FirstLight has been receiving lately. In recent months, the company has also made the Inc. 5000 list of fastest-growing, privately held companies, as well as the Franchise Times Top 200+ of the 500 largest franchise companies for the fourth and sixth consecutive times, respectively. Complete results of Franchise Business Review’s Top Franchises for Veterans 2018 can be found at https://franchisebusinessreview.com/page/top/top-franchises-veterans/. 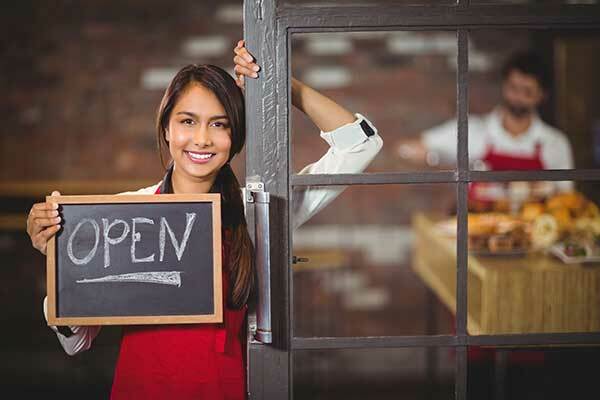 The full list of the Most Innovative Franchises can be seen at https://franchisebusinessreview.com/page/top-innovative-franchises/. 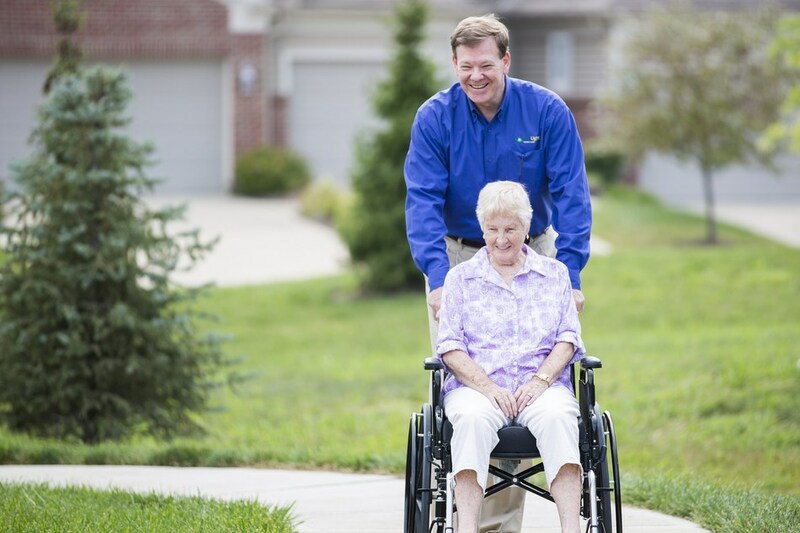 FirstLight Home Care is a leading provider of non-medical home care, helping individuals in more than 32 states achieve the quality of life they deserve. The company has set a new standard in home care by creating an unmatched Culture of Care that drives industry-leading client and employee satisfaction. FirstLight is a lifeline not only for seniors, but for people recovering from illness, injury or surgery; adults with disabilities; new and busy mothers; veterans; and anyone over the age of 18 who needs extra assistance. 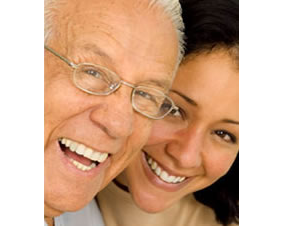 Care can be provided at private residences, as well as independent and assisted living communities. CHICAGO — BrightStar Care, the nation’s leading in-home care franchise, today announced a key addition to its senior leadership team. In an effort to continue to drive nationwide expansion, Pete First joins the BrightStar Care executive team as the new Vice President of Franchise Development. With extensive experience in the franchise industry, coupled with his goal of expanding the brand to new, untapped markets across the country, First will be primarily responsible for the brand’s domestic franchise development. Prior to joining BrightStar Care, First spent 14 years at Winmark Corporation, the franchisor for brands such as Play It Again Sports, Once Upon A Child, Plato’s Closet, Style Encore and Music Go Round. During his tenure at Winmark, First awarded dozens of new franchise agreements annually and helped build the system to over 1,200 locations across North America. With his expertise in growing franchise brands, First plans to immediately step in and assist in achieving BrightStar Care’s goal to develop the brand through strategic and targeted growth. “Pete has a rich history in franchising and he is a crucial addition to our Senior Leadership Team as he brings with him decades of experience and knowledge that will be pivotal in driving BrightStar Care’s expansion strategy in the years to come,” said Shelly Sun, CEO and Founder of BrightStar Care. In his new position, First’s day-to-day responsibilities will include providing leadership, strategy and direction to the franchise sales team in addition to putting systems in place that will improve the overall franchise sales process. First’s growth goals include adding successful franchisees to the brand in an effort to rapidly expand to new and currently underserved markets. BrightStar Care offers both medical and non-medical private duty home care services, as well as medical staffing and each BrightStar Care location employs a Registered Nurse Director of Nursing who tailors unique, personalized plans of care for each client and oversees a professional care team of well-qualified, experienced caregivers. The company began franchising in 2005, and has since grown to a $400 million company with more than 330 locations across the U.S. and Canada. Based in Chicago, BrightStar Care is a national private duty home care and medical staffing franchise with more than 300 locations which provide medical and non-medical services to clients within their homes, as well as supplemental care staff to corporate clients. BrightStar Care franchise locations across the country employ over 2,500 registered nurses who play a unique role in overseeing the care for each individual client, a service that no other private duty home care provider offers. In addition, BrightStar Care is the only national home care franchise to receive The Joint Commission’s Enterprise Champion for Quality award every year since the award’s inception. In 2017, the company ranked No. 69 on Entrepreneur Magazine’s Franchise 500 list and was included for the tenth consecutive year on Inc. Magazine’s prestigious Inc. 5000 list. WACO, Texas — Painting your home is harder than it looks, and keeping it looking nice is even harder! From the wear and tear of unruly kids and pets to the less-than-professional DIY attempts, if your walls could talk, they would definitely say you need some help. In hopes showing homeowners everywhere they are not alone in this struggle, Five Star Painting, a Neighborly company and North America’s leading residential and commercial painting franchise, is launching a #WallFails photo contest, to give North America’s homeowners a chance showcase their most ridiculous wall fails. To enter the #WallFails Facebook contest, visit https://contest.app.do/wall-fails-story-and-photo-contest and submit a photo or detailed story of your best wall fail by Friday, November 16, 2018 at 11:59 p.m. CT. Five Star Painting will reward five random winners with a $200 Sherwin Williams gift card. 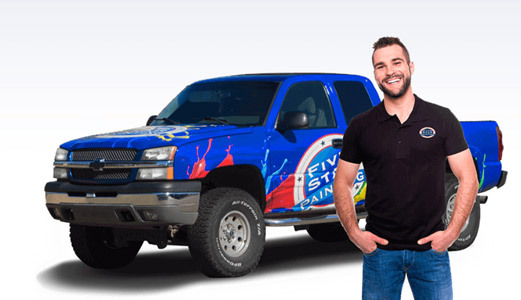 Five Star Painting®, a Neighborly company, is North America’s premier interior and exterior painting franchise. Founded in 2004, Five Star Painting operates from over 150 locations worldwide. Acquired by Neighborly® in 2015, Five Star Painting is part of a community of home service experts, leveraging Neighborly’s nearly 3,500 professional home service experts across brands in the U.S. and Canada with a unique direct service function that provides consumers assistance with nearly all aspects of their home care needs. Neighborly brands include: Aire Serv®, Five Star Painting®, Glass Doctor®, Portland Glass®, Molly Maid®, Mr. Appliance®, Mr. Electric®, Mr. Handyman®, Mr. Rooter®, ProTect Painters®, Rainbow International®, Window Genie®, Mosquito Joe® and The Grounds Guys®. SARASOTA, Fla. — Le Macaron French Pastries, an elegant French patisserie that offers guests the finest, authentic French macarons and pastries, has announced a new mobile kiosk franchise opportunity. Folded into its overall growth strategy, the brand looks to launch this new opportunity with strategic franchise partners who are seeking flexibility with their business and a lower cost investment. The new franchise opportunity aims to lean into the growing quick-serve and snack brand trend of kiosks, mobile carts, and express locations. As consumers’ on-the-go lifestyle continues to accelerate, Le Macaron French Pastries seeks to capitalize on these captive audiences at malls, airports, sporting events, festivals and other gatherings. The mobile kiosk investment ranges between $91,000 to $127,000—making it an ideal opportunity for entrepreneurs who are looking to enter the space at a lower investment with a simple business model and unlimited growth potential. Le Macaron French Pastries operates through a simple business model that requires zero on-site baking from franchisees. All products are made by French Chef Didier Saba in the kitchen headquarters, allowing café owners to focus on customer service. Le Macaron French Pastries was founded by France National and mother-daughter team Rosalie Guillem and Audrey Saba. The brand now has more than 50 cafés open and operating with two mobile kiosks open in Sarasota, Florida and Pittsburgh, Pennsylvania. Most known for providing guests with a light dessert with lesser calories, the brand offers more than 20 flavors of macarons, as well as seasonal flavors, and the menu extends to include pastries, gelato, coffee, cakes, éclairs, and more. Founded in 2009 by Rosalie Guillem and her daughter Audrey, Le Macaron French Pastries is an elegant French patisserie that offers guests the finest, authentic French macarons and pastries. Headquartered in Sarasota, Fl., the brand began franchising in 2012 and has since grown to more than 50 locations across the U.S. Le Macaron French Pastries is ranked on the 2016 Inc. 5,000 list as well as in the Top 100 Food and Beverage category by Entrepreneur and hold a #9 ranking in the baked goods category. KAPOLEI, Hawaii — Teriyaki Madness (TMAD) is taking a deep dive into the Pacific Ocean. The franchising rights to develop the entire state of Hawaii are now under the ownership of entrepreneur Ohmar Villavicencio, as the island expansion becomes the first venture of its kind for the rapidly-growing, fresh-Asian fast casual. The growth efforts will begin on Oahu in Kapolei, and Villavicencio will go on to open TMADs throughout the Islands. An ideal franchisee, Villavicencio comes to TMAD as both a fan of the brand and a successful entrepreneur. For the last 15 years, he and his wife Lizzel Villavicencio owned an international project management company with a client list featuring high-profile brands like PetSmart, Amazon and Kroger. His family split time between Hawaii and Las Vegas and it was in Las Vegas where Villavicencio became a regular customer at TMAD. All of Hawaii’s TMADs will truly be a family business. Ohmar and Lizzel are both fully committed to working in the locations, and as each of their three kids gets old enough, they too will work at the different TMAD locations. With a second home in Kapolei, the Villavicencio clan will plant permanent roots on the island. “Family is the most important thing to me, and I want this to be a family business for a lifetime,” said Villavicencio. The first TMAD location in Kapolei is set to open in 2019. Teriyaki Madness, a fast-casual Asian restaurant concept featuring a Seattle Teriyaki menu, is committed to unconditionally satisfying guests by offering delicious, made-to-order Teriyaki dishes prepared with all natural, fresh ingredients that are served quickly, at a reasonable price in a fun and relaxed atmosphere. The brand is dedicated to “Spreading the Madness” so that everyone can experience the best teriyaki on earth. The “Fresh, Fulfilling, and Fits your Life” concept was recently recognized by Entrepreneur Magazine as a Franchise 500 company and by Franchise Business Review for their Top 50 Franchise Satisfaction award. 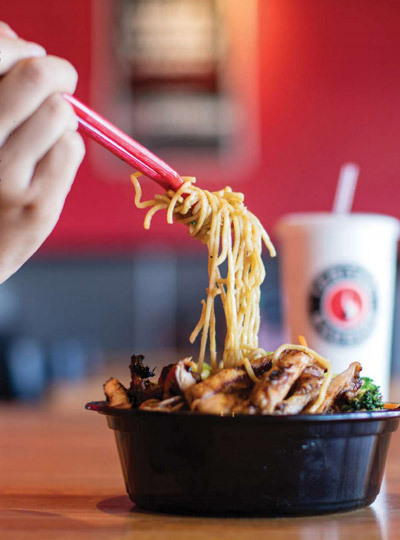 Teriyaki Madness was founded in 2003 and currently has franchise agreements for nearly 150 locations in the U.S. Teriyaki Madness offers franchising opportunities nationwide for their concept to qualified single and multi-unit candidates.